Hamilton won his fourth F1 World Drivers’ Championship in 2017 while Mercedes are looking for a fifth consecutive Constructors’ title. But had Ferrari not hit reliability problems in the second half of the season, the Brackley-based team might have found themselves under serious pressure in the title race and their British star could have found Sebastian Vettel a little to close for comfort. And Ferrari once again impressed in Barcelona, producing the two fastest laps of the two-week session - although Mercedes did not do any running on the hypersoft compound tyre, making comparisons tricky to draw. 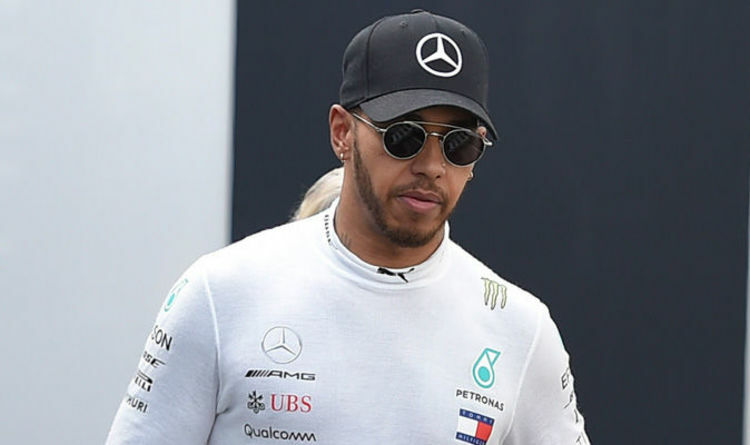 “It’s still difficult to know exactly where we are in comparison to Red Bull and Ferrari and we won’t fully know that until we get to the first race,” said Hamilton. “But I feel like we’ve got as much information as we could in order to equip us with the best data to go to the season opener. And despite not using the softest tyre available, Hamilton was amazed by the pace produced by his Mercedes in comparison to last year. “It’s been a really positive test,” he added. “We got through everything, reliability has been great. “I’m really proud of the team. “We’re happy with the information that we’ve got. “Both the car and the track are a lot faster compared to last year’s race here. Hamilton’s biggest rival Vettel meanwhile was keen to play down his team’s impressive pace. “It’s just a time,” Vettel said after the final day of testing on Friday. “There’s been a lot of times, what’s important is the car was working all day. “We did nearly 200 laps so that was good! Overall the conditions were better than yesterday.